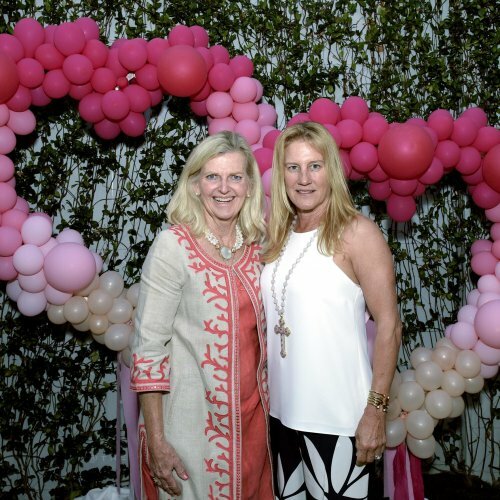 Newly-renovated and ever-buzzing Royal Poinciana Plaza is the new Palm Beach hot spot. 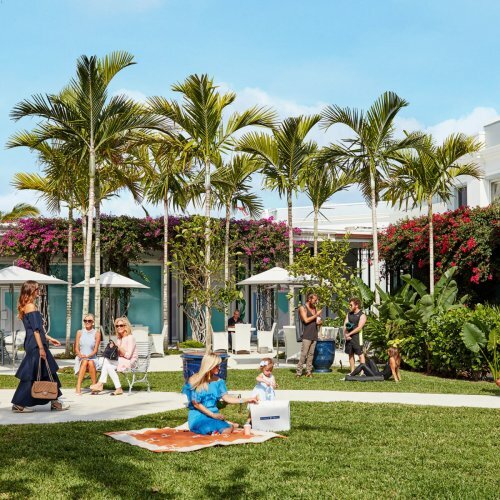 Since its renovation and re-opening last year, Palm Beachers have flocked to the new “Royal” for its upscale shops, serene courtyard, and culinary destinations. We love that it will still be buzzing all summer long. Out top three recommendations? Treat yourself to a facial at Paul Labrecque, or stop by the new Cayo Taco for organic Mexican fare before ending your evening at Jazz Night at Sant Ambroeus. Summer is here! Treat yourself royally this summer with beauty specials at BioAge MD and Dr. Dandurian, Nail Lab, and Paul Labrecque Salon and Spa, each chic spaces with beauty experts in the respective fields. Paul Labrecque Salon and Spa will be offering a package that includes a soothing environ toning facial, express London-town manicure, and blowout for just $125. Stop by Nail Lab for a mani/pedi for just $45 or Dr. Dandurian at BioAge, offering B12 immune booster for $25 and an endymed intesif treatment for a “buy two get one” deal. The colorful, casual Mexican eater new to Royal Poinciana Plaza with outdoor seating and award-winning organic fare is on its way to becoming as big as a hit as its Miami’s locations. The menu gives a bold twist to authentic Mexican favorites- our favorites are the pulp veracuzano (seared octopus tacos) and the fresh, from-scratch tortillas and guacamole prepared in-house. The bright, industrial-chic interior and ample outdoor seating (in cheery blue Acapulco chairs) make it a perfect summer spot for casual fare. Happy hour from 6 to 8 pm will offer Coyo margaritas from $8, glasses of wine for $7, and draft beers for $5! Milan meets Palm Beach meets Mad Men at The Royal: Sant Ambroeus’s retro-contemporary interior is inspired by the Gran Caffes of the 1950s Italy, mixing bright, colorful mid-century pieces in clean lines offset by rich mahogany and Italian stone fishing. With locations in New York City and Southampton, Sant Ambroeus has been a it since arriving in Palm Beach. Sip on fresh Green Envy cocktail (to die for) and any of the delectable pasta dishes or elegant Mediterranean Sea Bass; leave room for the daily-made gelato. Wednesday Jazz night is a terrific mid-week cap, with excellent musicians and a buzz crowd. The bonus extended aperitivo until 10 p.m. with half price on selected menu items is a bonus.